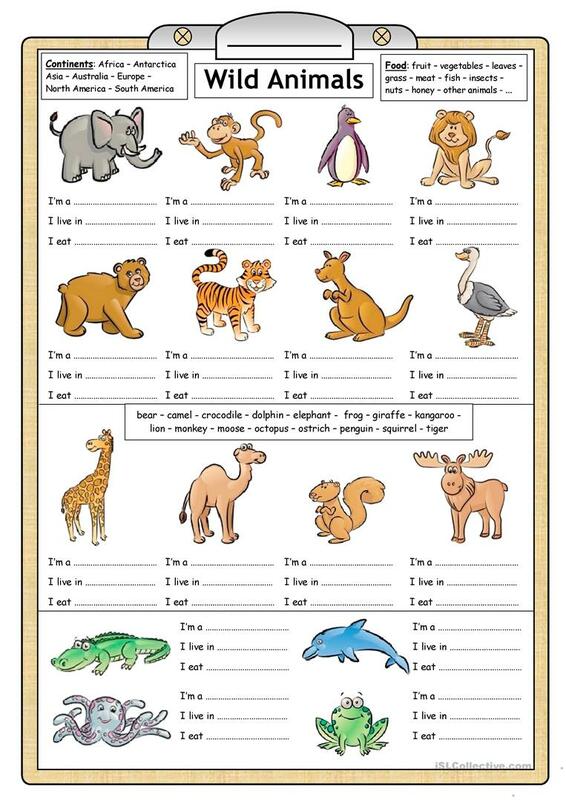 Both young and older learners can practise basic reading and writing skills with this worksheet. It can also be used to stimulate thinking skills and even improve SS knowledge of geography. This downloadable printable is meant for high school students and elementary school students at Elementary (A1) and Pre-intermediate (A2) level. It is excellent for developing your class' Reading and Writing skills. It centers around the vocabulary topic of Animals.